Experience the best way to get around and get a great deal at the same time. Check out all the savings below. Enjoy 25% off for a limited time! One child age 2-12 is eligible to receive a 50% discount on the lowest available adult rail fare on most Amtrak trains with each fare-paying adult (age 18+). One child under the age of two may ride free with each adult ticket purchased. Infants are not entitled to a seat. Additional children under age two are permitted with each adult traveler under the 50% discount policy. Other restrictions may apply. If any additional child per adult will be traveling, reservations must be made for that child as an "Adult" and the full adult fare will be charged. Amtrak Cascades travelers 65 years of age and over are eligible to receive a 10% discount on the lowest available rail fare on Amtrak Cascades. On cross-border services operated jointly by Amtrak and VIA Rail Canada, a 10% Senior discount is applicable to travelers aged 60 and over. The senior discount does not apply to Business Class. These upgrades are permitted upon payment of the full accommodation charges. The senior discount is not valid for travel on certain Amtrak Thruway connecting services. The senior discount may not be combinable with other discount offers; refer to the terms and conditions for each offer. Valid proof of age is required. Amtrak Cascades offers a 10% rail fare discount to adult passengers with a disability. Child passengers with a disability are eligible for the everyday 50% child discount plus an additional 10% off the discounted child's fare. Amtrak Cascades also offers a 10% discount for persons traveling with a passenger with a disability as a companion. Those designated as companions must be 18 years of age or older. Please select 'Passenger with Disability' or 'Companion' for each passenger as appropriate during the booking process. When you enter the number of passengers in the ticket buying process, a drop down menu will appear so you can select 'Passenger with Disability' or 'Companion' to receive the discounts. You will get lower fares by purchasing tickets well in advance of your trip. Fares gradually rise as trains fill and as the departure date nears, so make reservations as soon as you're confident of your travel schedule. Lower fares are more available on train schedules that are less popular. On most Amtrak Cascades routes, Friday evenings, Sunday evenings, and holidays are most popular. If you can adjust your travel schedule, explore midweek travel or morning trains for lower fares. Visit Special Offers for travel deals. Explore everyday discounts available to seniors, children, AAA members, military personnel, and more. Multi-ride tickets reward frequent travelers and encourage travel on trains where seats are usually available in Oregon between Eugene and Portland; or in Washington from Seattle, Edmonds or Everett to Bellingham and/or Mt. Vernon. Types of multi-ride tickets include "Ten Trips in 45 days" or an "Unlimited Monthly Pass." Call 1-800-USA-RAIL or ask Amtrak ticket agents at staffed stations for detailed information. An Amtrak Guest Rewards membership gets you more for your travel. Members earn a minimum of 100 points whenever they ride on Amtrak Cascades, and other Amtrak trains, no matter the price. Points can be redeemed for free Amtrak travel, hotel and car rental awards, and retail certificates from a wide variety of participating companies. Visit Amtrak Guest Rewards to enroll. Amtrak Cascades and Sound Transit have teamed up to offer more rail travel options between Everett, Edmonds and Seattle. The Rail Plus program allows use of your Amtrak Cascades ticket, FlexPass, or full fare ($4.50) PugetPass and UPass on Amtrak Cascades trains. Visit Sound Transit for more information and schedules. Ride the Rails With Kimpton Hotels in Seattle WA and Portland, OR. Soak in the breathtaking Pacific Northwest scenery on your journey to the Emerald City or the Rose City. Once you arrive, indulge in the stylish design and unforgettable service at the award-winning Kimpton Hotels. All Kimpton properties are located within in walking distance of all major sights and attractions, you won’t even miss your car! When you reserve with our dedicated link below, enjoy rates from 15% off plus free wifi for Kimpton Karma loyalty members and a $10 ‘Raid the Bar’ credit. During your visit, be sure to take advantage of Kimpton’s complimentary wine reception, coffee service, fitness center and bicycles – perfect for touring the city! Amtrak Cascades and Sandman Hotel Group welcome you to Vancouver, British Columbia. Book our Best Available Rate at either of our two locations and present valid train tickets at check-in to receive 15% discount on the same! Call 1-800-SANDMAN (726-3626) or make reservations online at www.sandmanhotels.com/amtrak/. 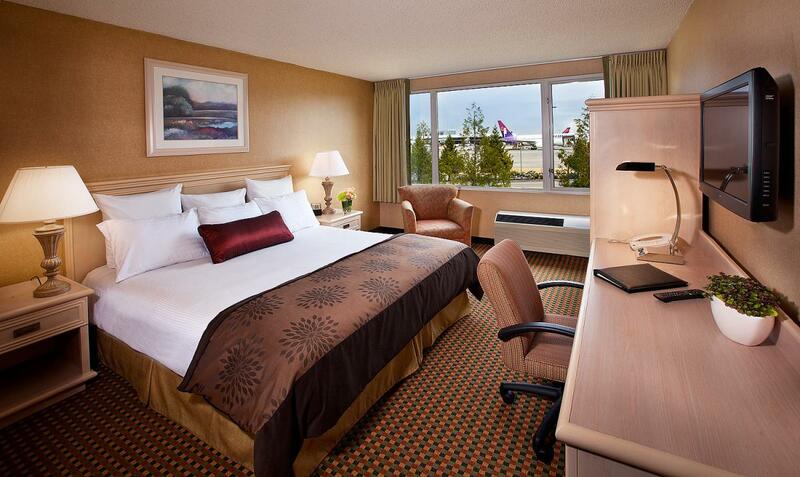 The Coast Gateway Hotel is the closest hotel to the Seattle-Tacoma International Airport, making us the perfect gateway to the city. Our full-service hotel has everything you need, so you can spend less time on logistics and more time relaxing and putting up your feet. 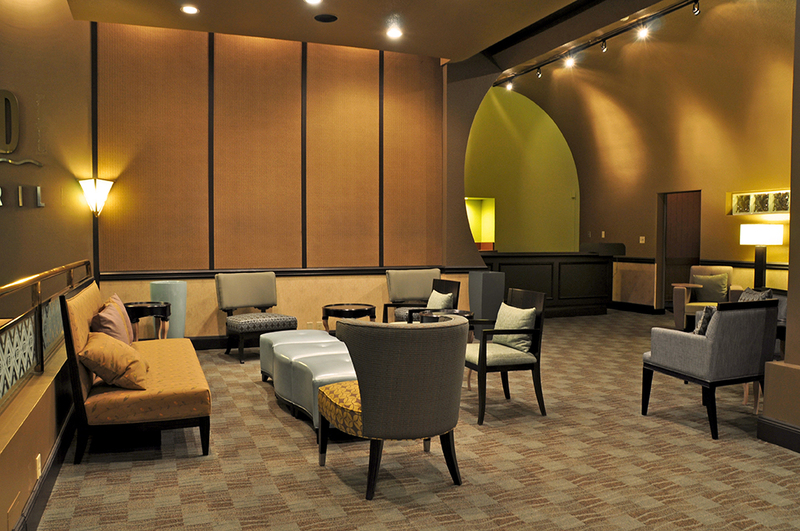 You’ll receive free overnight parking as well as complimentary continental breakfast and Wi-Fi. Catch LINK light rail at Seattle’s King Street Station to the airport then grab a shuttle van to your posh Coast Gateway Hotel. The Coast Coal Harbour Hotel is situated right on the water, a stone’s throw from beautiful Stanley Park as well as the bustling Gastown district and the renowned shopping on Robson St. 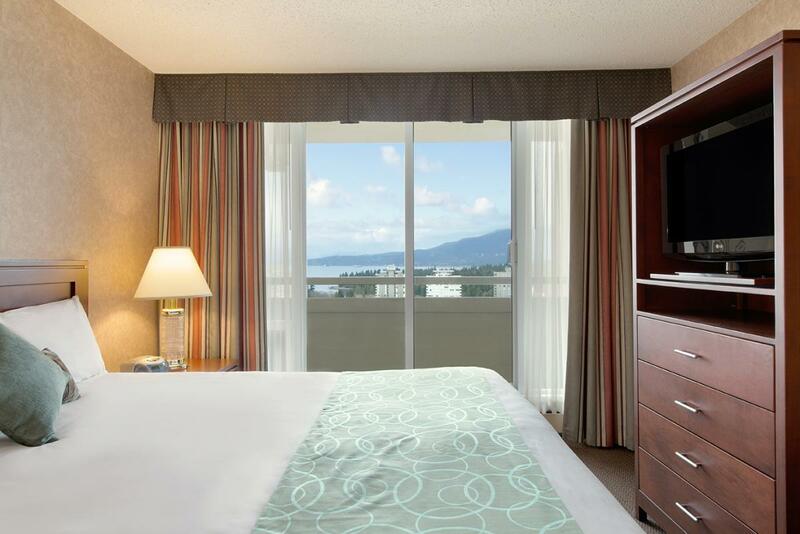 Guest rooms feature floor-to-ceiling windows and sleek, yet comfortable, décor. You’ll also have access to our top-notch fitness centre, pool, hot tub and spa, restaurant, and more. Explore all Portland has to offer from one of the city's most treasured historic landmarks. 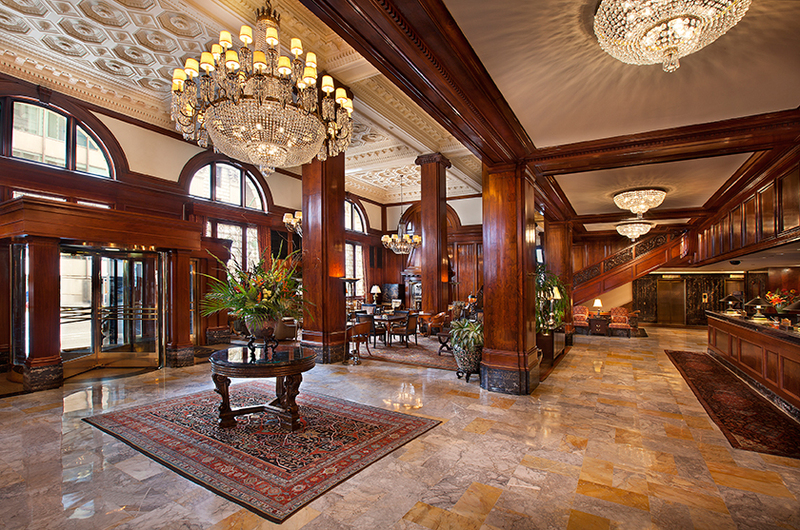 Founded in 1913, The Benson features elegant European design with a host of modern amenities. See why US presidents and CEOs have made The Benson their home away from home for a hundred years-and why The Oregonian voted us Best Portland Hotel in 2012. The Governor is centrally located in Olympia, Washington’s state capitol. 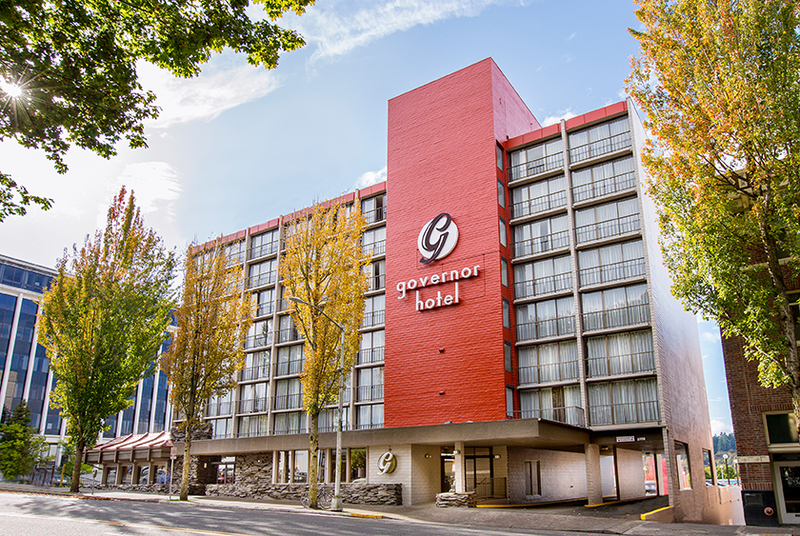 The renovated boutique hotel delivers serene views of the state capitol, Capitol Lake, Puget Sound and the Olympic Mountains. More than 60 shops and restaurants, interactive museums, nearby attractions and three local colleges and universities are close by, with many just a short stroll away. THIS OFFER IS EXCLUSIVELY AVAILABLE AT WWW.AMTRAKCASCADES.COM. THIS OFFER IS VALID FOR 15PCT OFF THE REGULAR (FULL) ADULT RAIL FARE. THIS OFFER IS VALID FOR SALE BETWEEN 27NOV15- 17JAN16 AND VALID FOR TRAVEL BETWEEN 01DEC15- 20JAN16. BLACKOUT DATES APPLY: 19-23DEC15, 26-30DEC15, AND 02-03JAN16. ADVANCE RESERVATIONS ARE REQUIRED A MINIMUM OF THREE (3) DAYS PRIOR TO TRAVEL. THIS OFFER IS VALID FOR TRAVEL ON THE AMTRAK CASCADES. SEATING IS LIMITED, SEATS MAY NOT BE AVAILABLE ON ALL DAYS. FARES ARE SUBJECT TO AVAILABILITY. UP TO 2 CHILDREN AGES 2-12 MAY ACCOMPANY EACH ADULT AT HALF THE REGULAR (FULL) ADULT RAIL FARE. THIS OFFER IS VALID FOR COACH SEATS ONLY; NO BUSINESS CLASS UPGRADES PERMITTED. THIS OFFER IS NOT COMBINABLE WITH ANY OTHER DISCOUNT OFFER. IN ADDITION TO THE DISCOUNT RESTRICTIONS; THIS OFFER IS ALSO SUBJECT TO ANY RESTRICTIONS, BLACKOUTS AND REFUND RULES THAT APPLY TO THE TYPE OF FARE PURCHASED. FARES, ROUTES, AND SCHEDULES ARE SUBJECT TO CHANGE WITHOUT NOTICE. ONCE TRAVEL HAS BEGUN; NO CHANGES TO THE ITINERARY ARE PERMITTED. OTHER RESTRICTIONS MAY APPLY. PLEASE REFER TO DISCOUNT CODE V746. AMTRAK AND AMTRAK CASCADES ARE REGISTERED SERVICE MARKS OF THE NATIONAL RAILROAD PASSENGER CORPORATION. GET TO THE GAMES ON AMTRAK CASCADES! Remember to take Amtrak Cascades to Seahawks games in Seattle for Century Link Field front door service. Have a beer and some good eats! Clipper Vacations can make your next Amtrak Cascades trip to Vancouver, British Columbia special. Visit Clipper Vacations Web site or call 206-448-5000 (in Seattle) or toll-free 1-800-888-2535 to learn more. NEED A RIDE FROM OR TO THE STATION? TransLink covers the bus, SkyTrain and Seabus service in Vancouver. Buses run as often as every 4 minutes for 20 hours a day. Join Vancouver's only fleet of San Francisco-style Trolleys for a Vancouver Sightseeing Tour at your own pace! The Seabus links North Vancouver to downtown to Vancouver in just 12 minutes. The two double-ended catamaran ferries seat up to 400 passengers and cross the Burrard Inlet from Waterfront Station, by Canada Place to Lonsdale Quay on the North Shore. City by Cycle is leading the way in the development of Vancouver hosted City tours by bicycle for Fresh Air enthusiasts from around the world. Convenient and effective, the Metro Buses service downtown and outlying areas. Ride Central Link light rail between Sea-Tac Airport and Downtown Seattle. Built for the World's Fair, the Seattle Monorail is a fun and convenient way to travel between downtown and the Seattle Center, site of the Space Needle and Experience Music Project. Ride the streetcar from Westlake Mall to Lake Union. Walking distance from the station: take a round trip ferry ride from Seattle to Bremerton or Bainbridge Island to experience Puget Sound from one of Seattle's iconic ferries. You might even see a whale! Sign up with Uber. Already signed up? Use the app to arrange a ride. Tour Seattle by land and water on a WWII amphibious craft. Call (206) 441-3825. Orange Cab was collectively formed by a number of Seattle area professional cab owners. Call (206) 957-0838. Walking distance from the station: take a mini cruise across beautiful Elliott Bay from downtown Seattle's Pier 55 to West Seattle to explore Alki Beach in West Seattle. Take the Pierce Transit Trolley from the Tacoma Amtrak Cascades station to the ferry or rent a car and drive on! 360-786-1881 Outside Thurston County: 1-800-287-6348 Centennial Station is located about 10 miles from Downtown Olympia, 6 miles from Downtown Lacey, and 15 miles from the City of Yelm. Route 64 provides daily service between Centennial Station and Downtown Olympia, serving the Lacey Transit Center on the way. Weekdays, buses serve the station every 30 minutes during peak hours and every 60 minutes during off-peak. Approximate time from Centennial Station to: Lacey Transit Center: 25 minutes Olympia Transit Center: 50 minutes.You can transfer to other routes at both transit centers. Route 94 provides daily service every 30 to 60 minutes between the Olympia Transit Center, Centennial Station, and Yelm. Approximate time from Centennial Station to: Olympia Transit Center: 40 minutes Yelm: 25 minutes For Routes 64 and 94 schedules and route information, visit the website www.intercitytransit.com or call Intercity Transit Customer Service at 1-800-287-6348. This light rail system can get you to and from the airport as well as around downtown. Adult tickets are $2.50 for two hours. An all-day ticket is $5.00. The Streetcar loops from Riverplace Marina in Southwest Portland to the Pearl District in the Northwest. Sign up with Uber today and enter promo code EXPLOREPNW for $20 off your first Uber ride. Expires 2/15/2017. Portland is as bike friendly as they come. You can rent a bike, or choose to walk. You'll be surprised how much of the city you can cover on foot. BIKETOWN is Portland's bike share program with 1,000 bikes at 100 stations across downtown and several neighborhoods. The system was designed for quick trips with convenience in mind, and it’s a fun and affordable way to get around. Broadway Cab is the oldest and largest taxicab company in Portland. Call (503) 227-1234. New Rose City Cab Company has been providing professional and complete cab service and airport service to the Portland, OR area for over 37 years now. Call (503) 282-7707. Corvallis to Amtrak Cascades Connector Shuttle Service The Corvallis to Amtrak Cascades Connector operates five days per week, Thursday through Monday, coinciding with peak train ridership days, plus on almost all major holidays. There will be five round trip bus runs per day from convenient pick up locations in Corvallis to the Albany Amtrak Cascades multi-modal station. 541-687-5555 or 800-248-3861 LTD connects Eugene with the University of Oregon campus, Springfield, Cottage Grove and even the McKenzie River. PeaceHealth Rides bikeshare service is available at the Eugene station. PeaceHealth Rides offers a healthy, convenient and fun way to explore Eugene and Lane County. Cycling is a transportation option that can be customized for regional tours. Oregon's climate and topography is aptly suited for cycling. A chauffeured transportation option that can be customized for regional tours. Rent a car to get around town and road trip to the Oregon Coast or into the Cascades. Students: Every ride on Amtrak Cascades counts toward rewards.